Seems that the longer the run, the longer you can go on about it. Get some snacks and settle in. The Kauri 70k last year was my first ultra back post-baby, and was fun for that reason alone, not to mention all the lovely people I met. This time round I wanted a bit of speed. Training this time had at least happened on occasion – two months of good Sunday efforts from 2 – 3.5 hours duration, a couple of good Te Arohas, occasional runs to work and the good old buggy runs. I had a vague feeling I was fitter, but no proof. 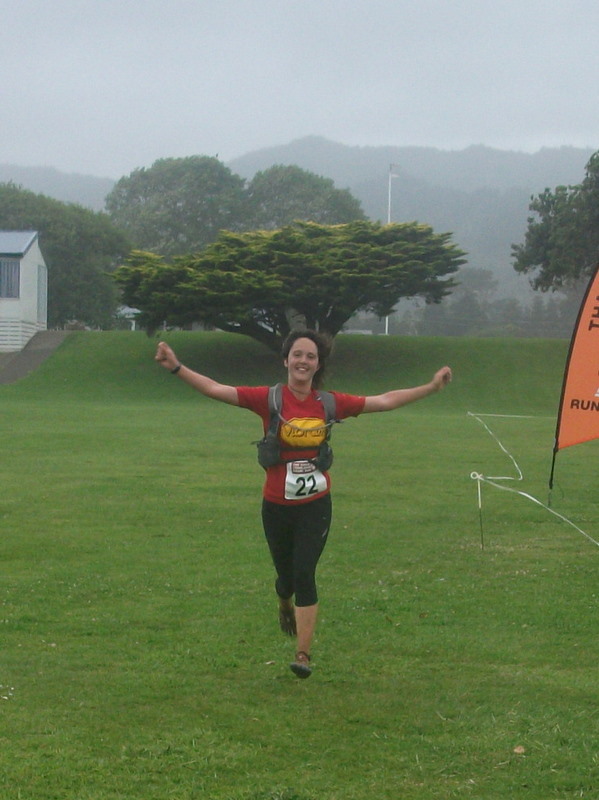 Waihi Xterra marathon could have been an indication, but turned into a (fun) mudbath. Optimistically, I aimed to beat last year’s Kauri time of 9.09 and ideally knock half an hour off. My favourite fast women seem to be occupied elsewhere this year (the 32k, Kepler tapering, other events) but you never know if there’s a dark horse among the entrants. Either way, the main goal for me would be a solid time…and a fun time. My taper ended up being decidedly generous, starting almost 5 weeks out in terms of long runs, and my final carb-loading efforts more so. I love eating, and pancakes with lemon and sugar seemed a good way to start a Friday. Since reading Eat and Run (very good book) I’ve become quite addicted to Scott Jurek’s chocolate adzuki bean cake, so I whipped up some of that too. my teeth – you’re not going anywhere, precious carbs! Finally we made it, and put up the tent (thanks to Fiona for that). Time for a swim! Alba had a big freak out at the sea, and a further freak out at me being immersed in it. Poor child. I refrained from mentioning the imminent abandonment. Sleep was intermittent and minimal, thanks to a starfish bed hog (toddler) and general excitement (me). At least being awake at 4am was a good chance for some more adzuki bean cake. I snuck out without waking Alba and geared up around 5am. 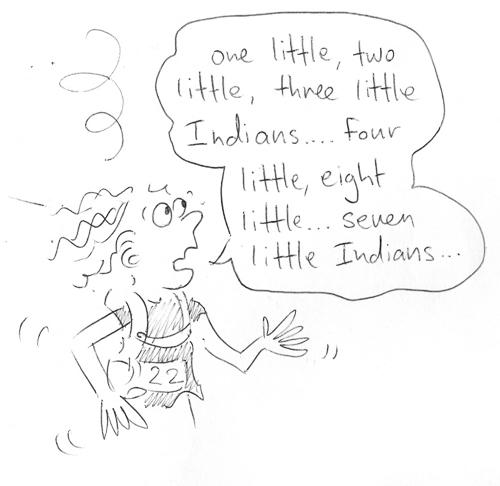 Nervy runners swarmed the toilets and adjusted packs in the gloom as the energy mounted. 5.30 and GO! We trotted gently up the hill to start and had some stunning views over the sea of Great Barrier in the sunrise. I could see the silhouette of Kerry and his buddy bobbing along up ahead. (In these shots in the Sportzhub roundup it looks like a halo. Teehee.) The first 12k is great gentle running along the coast path. I had a varied stash of gels and whatnot to keep life interesting, from Boosta slabs to Hammer to Gus. 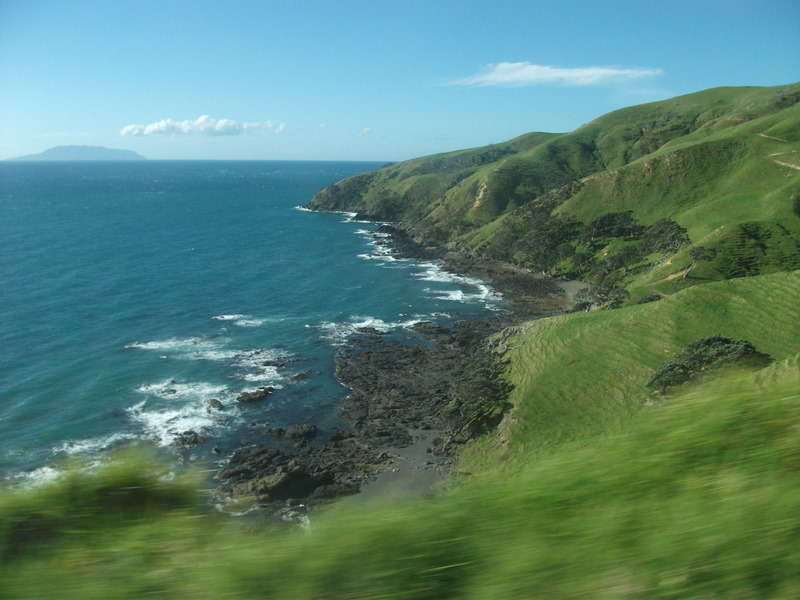 Stony Bay prompted a stop – no more Leppin, maybe? I felt good overall though (too good?) and stretched out over the gravel road hills for an hour or so (too fast?). Every now and then I wondered if I was lost, but Ryan-who-I-just-met stayed reassuringly behind for a while. He had an amazing support team that put up signs and spraypainted the road. More kms, more meandering, another bay appeared and the rain started. Children in pajamas waved out of caravan windows. We headed into the farm tracks, which requires some loin-girding. I’m not used to being a leading woman and it’s kind of novel – people look surprised and cheer slightly more than when you’re 2nd or 3rd. The video team get me to hold the camera on a pole and talk while I trudge up an epic hill in the farm tracks – a challenge to the coordination. My memories of the first 38k from last year are happy wistful ones of girly gossip up hills with Kate and Natalie, and enjoying going running again. Somehow I managed to completely blank out a huge chunk of glute-clenching elevation, so this was a slight shock to encounter. Ok, a big shock. It’s lonely and wet and the digging deep ensues. Who put all these hills there? Then we have to run down again. Sheesh. It’s pretty cool descent though, exciting and not too slippery. Farmland and cow pats bode well for hitting the halfway mark soon. My Spyridon FiveFingers are going great guns, despite much freshly graded gravel and a good range of terrain. I was warned that I’d probably want to change to thicker ‘normal’ shoes at half way and accordingly spent half an hour searching the house for a matching pair that had laces. It’s been months since I’ve used anything other than fives, but better safe than sorry? Luckily my feet were all good and the old shoes stayed in the drop bag. LTH made me smile afterwards – watching at halfway, she was inspired by the way you can easily undo the front clips of the UltrAspire pack as opposed to wriggling awkwardly into it. (It’s a fun image though. I should draw it.) And yay for Jenni! (bottom left, getting water ready). The flat road to Waikawau offered a chance to unwind, stretch out in a comfortable rhythm and bust out some more adzuki bean slice. The buses came past for the 32k starters and I got some bemused looks out the window. Coming into Waikawau was a huge boost, as a who’s who of awesome cheered me on – Carl, Alba, Jenni, LTH, Duncan, Brian, Ruby, Kristian. Jenni had honed her champion support skills helping Kerry and the water refill went without a hitch. I left thoroughly buoyed, with a huge grin. This was lucky, as the high tide meant the 2k soft sand was pretty draining and I seemed to weigh 200kg. The river crossing offered a nice cool down though, and having clear paths into the forest this year was luxurious. Starting the ultra a bit earlier was a good call by organisers I reckon. All seemed to be going smoothly until the climbing to the lookout really kicked in and my legs felt unusually wimpy. Oh no, I went out too hard, went through my head. In retrospect I think the sand just sapped a bit of impetus. It sort of came back, or at least I kept moving forwards. I met Grant-from-Thames around here and we took on the next few kms of hurricane-hit ridge, running and yarning over the next 10k or so. The hills up here go UPsy DOWNsy repeatedly, rollercoaster styles so it’s a pretty stop-start endeavour. 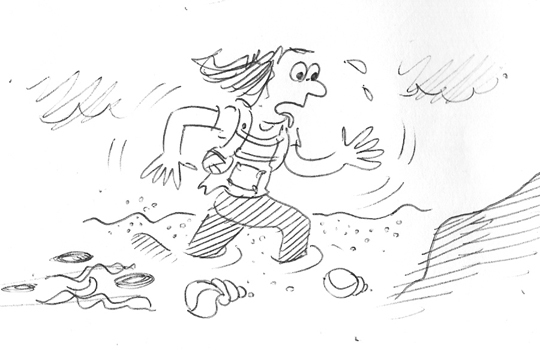 Soft sand – one of the trickier parts. 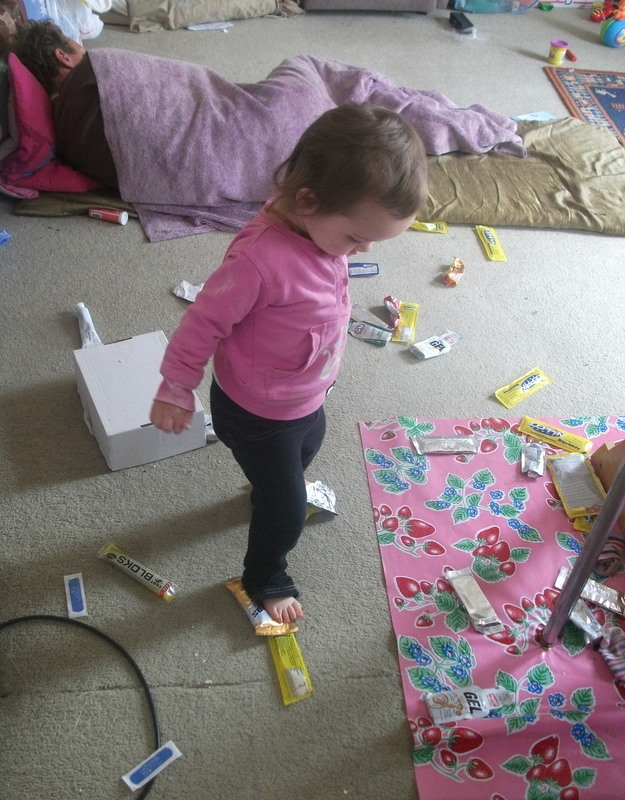 I’ve always been curious whether elites run all of the steep climbs in Kauri or walk like normal people. In a lucky piece of timing, Vajin Armstrong came past leading the 32k at exactly the steepest point on the course while Grant and I were trudging up in companionable but focused silence. So was he running? Was he ever. It was almost a mountain goat skip, light and easy, with plenty of breath to mention how glad he was that these rock faces weren’t downhills. Truly inspiring to behold. 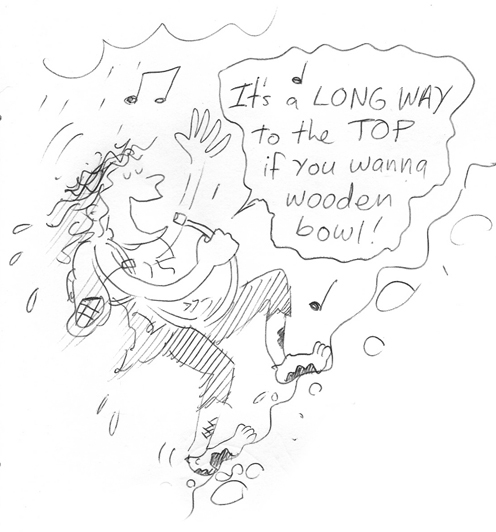 As was Ruby, who swept past a little later, virtually floating – and singing – as she headed off to claim second place overall. All class. Last year the technical stretch to the trig did my head in a bit. I’d run it twice before, but the faster context of the 32k meant it was over quickly, and offered a good nippy chance to make up ground on more cautious competitors. This time I was very much the cautious competitor and was mentally prepared to take my time. A few more 32k-ers came past but not loads. I got to the trig safely and blew it a kiss. The aptly named downhill Success track is the most fun part of Kauri, but the caution remained given I was already heading for a decent time and result. I caught up to Jason Good who I’d run with briefly at the start of the 70k way back in that dim morning. His ‘Oh, hello..’, while friendly, contained a slight suggestion that he wasn’t overly keen to be ‘chicked’ for third place, and he found another gear for the next 4km. I was wavering and not up for the challenge so just kept rolling on down. The road arrived – 2k to go! Coromandel Town always seems bigger at the end of the race, but finally that beautiful gate loomed. Round the field and home! Finishing ultras rocks. 8.21, 23 minutes inside the course record, 4th overall and 49 minutes faster than last year. for second in the 32. 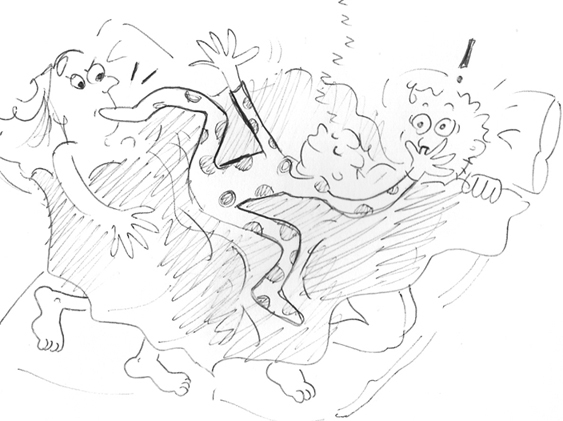 Kerry was relaxed in a sleeping bag having been home for 90 minutes. 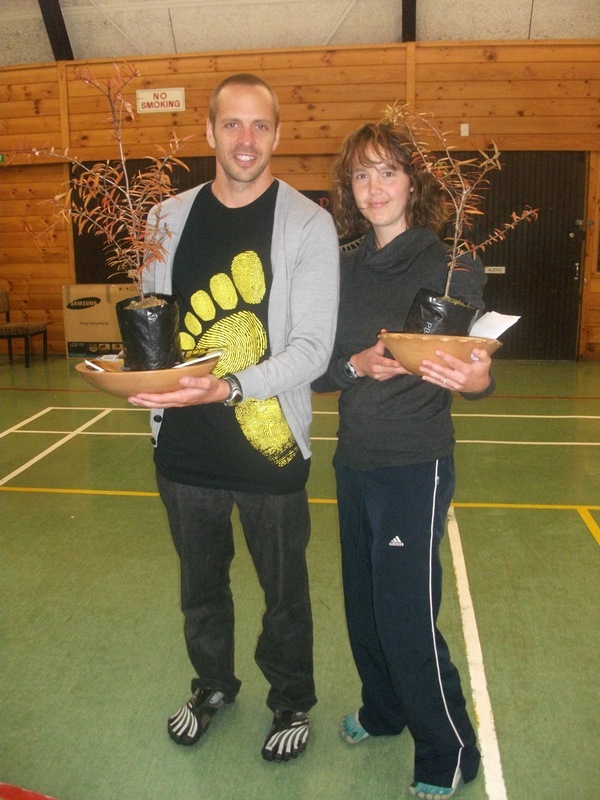 At prizegiving we got trees and the famous kauri bowls. I’ve been ogling them for more than four years, so it’s satisfying to have my own after a solid effort. Kerry gave a very good speech about his buddy and the child abuse stats it represented. Brian Smith became the oldest finisher of the 32k at 80! 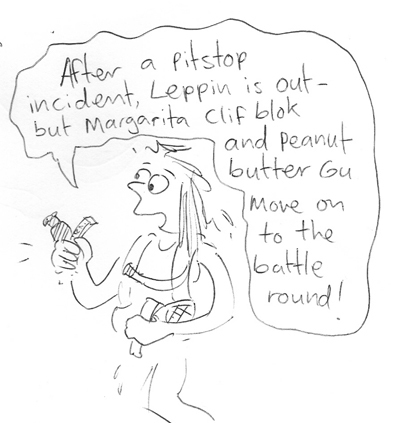 On the way home, my stomach had less success retaining rehydration than the carb-loading, but by then I didn’t care. The run was over and it was excellent. My times extrapolated: 4:15 for the first 38k, 3 minutes or so refilling at Waikawau, and 4.03 for the 32k. Recovery has gone surprisingly well. No major muscle soreness to speak of, just a general tiredness, and my feet are fine (toenails all accounted for). 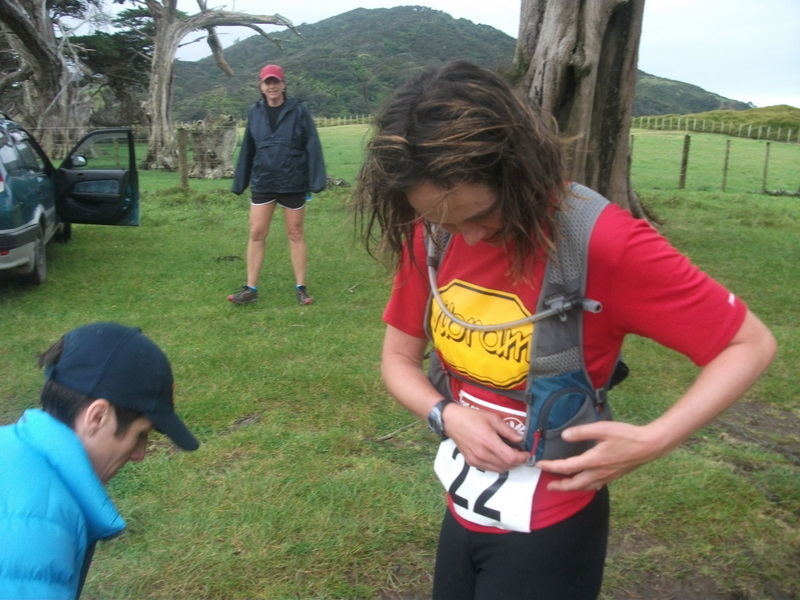 Many thanks to the organisers, my whanau, fanatastic friends, and Barefoot Inc for the gear and support (do go and enter their Tarawera competition, which I was one of the lucky recipients of last year). Read Kerry’s race report too, and Ruby’s. What’s next? Tarawera, I guess, but I’m open to suggestion in the meantime..